Rod Machado had the tent roaring when I saw him at Oshkosh. He’s a gifted speaker with an ability to tell a story. Occasional reader “Scary” mentioned falling meat bombs in the previous post. It reminded me that things can fall from, and out of, planes as captured in Rod’s article (below) which initially appeared in the AOPA magazine. It’s falling—the sky is falling. Well, not really. It just seems that way sometimes. Unless you’ve been in cold storage the past few years, you’ve probably heard about at least some of the items that have fallen from airplanes. Landing gear, funeral urns, jet engines, and other odds and ends have made the list. I don’t know about you, but I get the willies when things drop from or off of airplanes, especially when the pilot was counting on using the newly liberated item later in the flight. Imagine how unsettling it is to glance down at your airplane’s shadow and see two tiny shadows in the shape of tires leaving the mother ship. But that’s what happens when the mechanic forgets to reinsert the gear pins after performing maintenance on the airplane (and the pilot fails to notice). Apparently the gear wasn’t fixed at all, was it? The in-flight loss of your landing gear would certainly raise an eyebrow or two. If, however, you’d like a complete face-lift, just imagine what happens when the pilot falls out of the airplane! A headline in the December 3, 1980, issue of our local newspaper, The Register, read: “Pilot sucked out, but hangs on—copilot lands with man dangling by feet, arm.” According to The Register, a military version of a Beech King Air was en route to the Army’s Aberdeen (Maryland) Proving Grounds when its pilot fell out. Apparently, the captain noticed a cockpit light warning of a problem with the retractable stairway located near the rear of the airplane. He decided to check it out, leaving the copilot to fly the plane. When the captain pushed on the door, it popped opened and sucked him outside. Thinking that returning to earth without the plane wouldn’t look good on a résumé, he clung to the door by an arm, a leg, a wing, and a prayer. Unfortunately, his unslated exit occurred within full view of the passengers, who surely thought the pilot had come up with a new way of confirming his VFR checkpoints. The newspaper reported that the copilot made an emergency landing with the captain perched inches above the runway. Yes, events like this have happened on more than one occasion. “You pushed the urn out?” quipped Tom. Tom urned an important lesson about passengers: If you don’t tell them what to do, the odds are they’ll do it the wrong way. And sometimes they’ll do it the wrong way regardless of what you say. As the FAA tells it, a leaking lavatory valve is often responsible for blobs of ice that grow along the side of the fuselage. If a large blob of ice falls off, it might find its way into a constable’s refrigerator…or the intake of a jet engine. The latter is precisely what happened a few years earlier to a Boeing 727. A lav slab was sucked directly into a jet engine, causing the engine to break off of the airplane. Fortunately, the captain made a safe landing and all was well. Yes, I get the heebie-jeebies when I hear about anything intentionally or unintentionally departing an airplane. To be sure, some of these events are amusing. More often, they lead to an assortment of unwelcome difficulties. Interesting to the see the NTSB does have a sense of humour. A friend of mine lost his door in a C152 – and as you know the doors are a high percentage of the total structure of those things. Always remember to buckle up, kids! I also read a book by a ferry pilot who had a similar experience to the king air Captain described – but he was alone and halfway across the atlantic. Which might explain why you fly an Archer. No worries about a lost door on the pilot’s side. 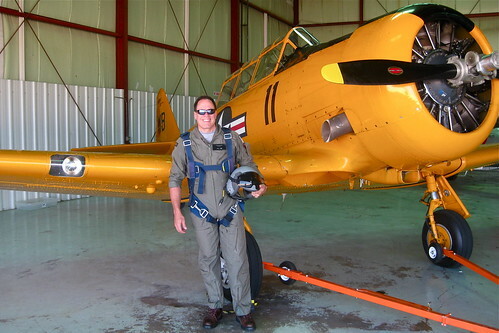 BTW: Here’s the AP article about the pilot who fell out of the plane. While I never fell out of a plane I was a ferrying I did once have to climb over the ferry tank in a Seneca to get a map I had left in the back by mistake. The space was just barely big enough to squeeze through and I was stuck for a minute. That was a little Scary! These ferry flights are solo efforts? Flying prop planes over oceans; getting stuck in the back without a copilot? After 25 trips across the big pond, I decided to hang up my spurs and settle down, and up and down and up and well you get the idea. And yes they were all solo, I like flying by myself, no witnesses when you bounce a landing!